SUNDAY MORNING SERVICE, March 2nd – “Democracy as Spiritual Practice” Explore our fifth Unitarian Universalist Principle: The right of conscience and use of the democratic process in our congregation and in society. Service led by Rev. Mary Grigolia. As with most Sundays with Mary, a finger-food potluck and mini-workshop will follow the service. We hope you can join us. Remember, first Sundays of the month are “bring a friend” Sundays, so invite someone to come along. 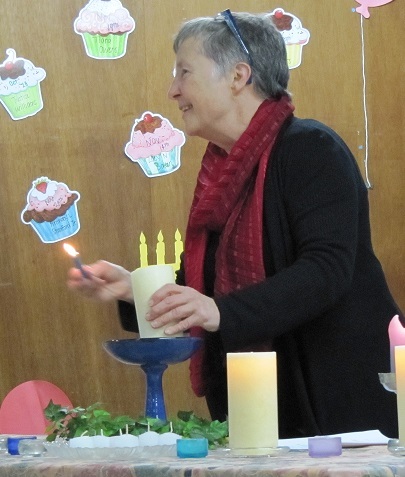 Unitarian Universalist Fellow­ship of the Firelands, meeting in the lower level of First Congregational Church, 431 Columbus Ave., Sandusky will present “Democracy as Spiritual Practice” with Rev. Mary Grigolia, at 10:30 a.m., followed by potluck and workshop. Children’s Religious Education available. Enter through glass doors at rear of church and take elevator down. A liberal religion that embraces diversity. Armchair-Travel to New Zealand THIS WEEK! Fellowship is all about coming together with people to share an experience. Offering a ride on Sunday is a great way to share this experience with a friend and make it easy to find the place! The Unitarian Universalist Fellowship of the Firelands will meet on Sunday, Feb. 16th at 10:30 am. Rob Smith will present “Trying to Undo History,” a reflection of conservation efforts in New Zealand. RE for children during service. We meet in the lower level of the 1st Congregational UCC at 431 Columbus Ave. , Sandusky. Park in the lot and enter through the rear glass doors. Take elevator down. Handicapped-accessible We are a liberal religion that embraces diversity.